The Cuisinart 419-14 stainless steel saucepan features an aluminum disc in the base which is bonded to a stainless interior and a stainless exterior to give unsurpassed performance. It has stainless steel cooking surfaces that won't react to acidic foods or alter flavours and includes an aluminum encapsulated base to ensure foods heat quickly and evenly. The cookware's riveted stainless-steel handle stays cool on the stovetop, while its lid seals in moisture and nutrients for healthier, more flavorful results. 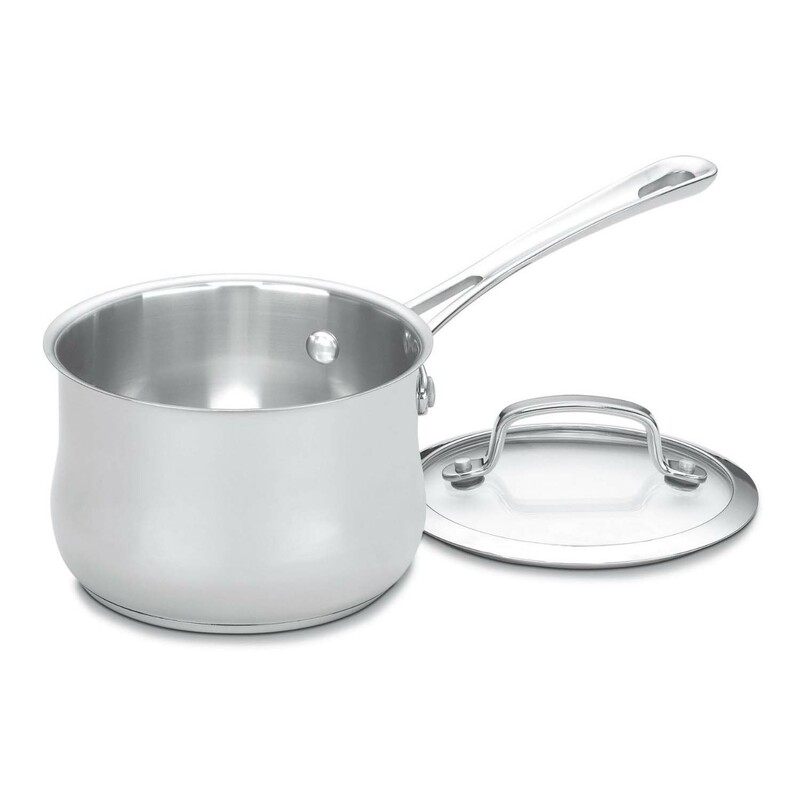 The 1 Qt Saucepan W/Cover Contour Stainless has many exciting features for users of all types. See the 1 Qt Saucepan W/Cover Contour Stainless gallery images above for more product views. The 1 Qt Saucepan W/Cover Contour Stainless is sold as a Brand New Unopened Item.